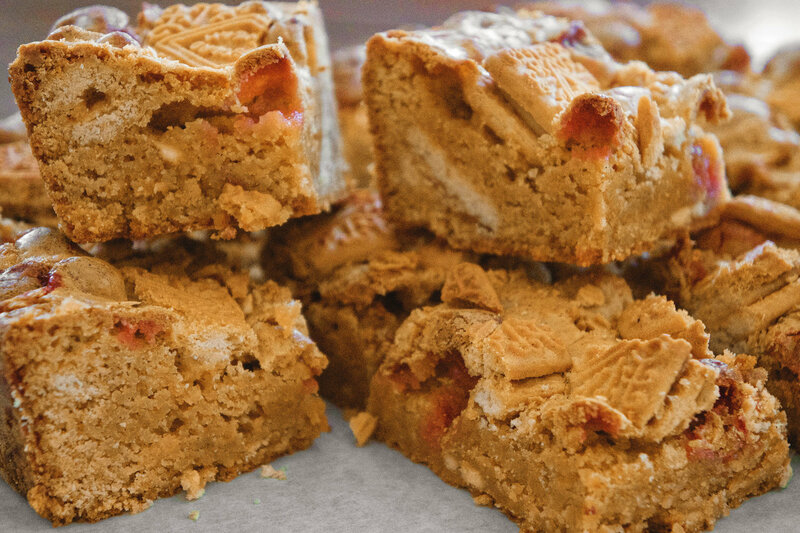 On Instagram we asked what you wanted to see, and you overwhelmingly voted to see our custard cream blondies. We've been visiting our friends and family outside deal this week, so we thought this was the perfect time to show you. 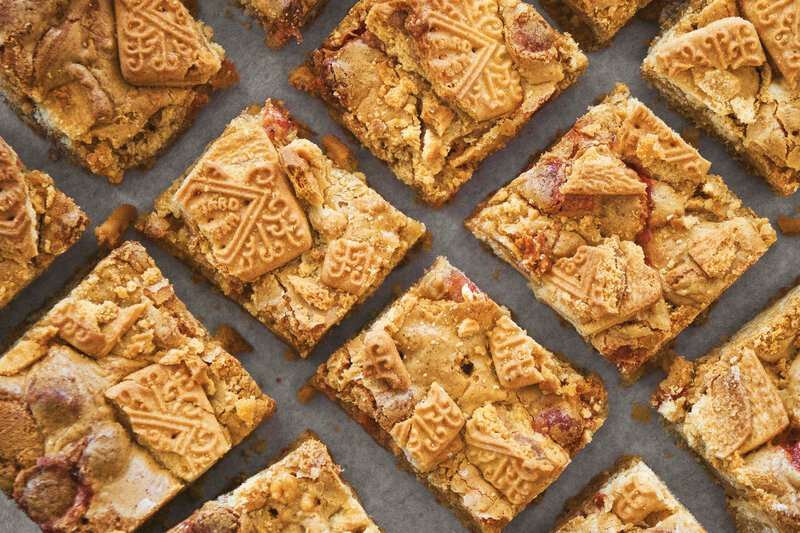 If you love custard creams (who doesn't), this recipe takes your them to the next level. It's the perfect snack for when your spring dreams get ruined by the April showers, they're so delicious you'll forget all about that great new diet that's gonna help you lose 100 pounds by summer. Heat the oven to 180C/fan 160C, line a 20x30cm tin with baking paper. Add the butter, sugars and custard powder to a large saucepan and heat gently. Once it is melted and smooth, take off the heat and allow to cool for five minutes. Stir in the eggs, 1/4 tsp salt, vanilla extract and flour. Then add 1/3 of the broken biscuits, chocolate chips and marshmallows. Spread into the tin and push the remaining biscuits into the top of the mix. Bake for 30 mins or until set on top. Allow to cool and set before cutting up into bars.